Serene is a truly beautiful blogging theme with post format support. Now you can easily display a dynamic feed of articles, videos, audio files, quotes, galleries and links in the most elegant way possible. It’s also our first completely free theme made for everyone to enjoy! The design’s elegance stems from its simplistic and spacious design. Browsing the theme is easy on the eyes and on the mind. 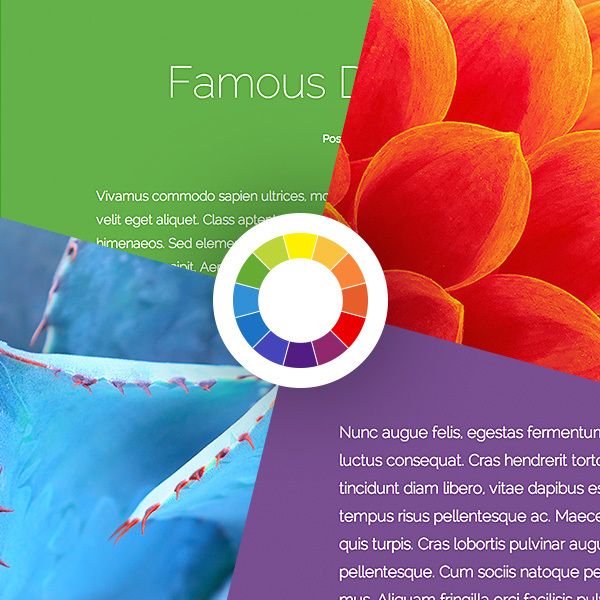 Serene lets you tailor the experience of every post using custom colors. Not only can you adjust the basic design elements though the Theme Customizer, you can also adjust the fonts and background colors of each post as well. This allows you to infuse personality into each article your write. 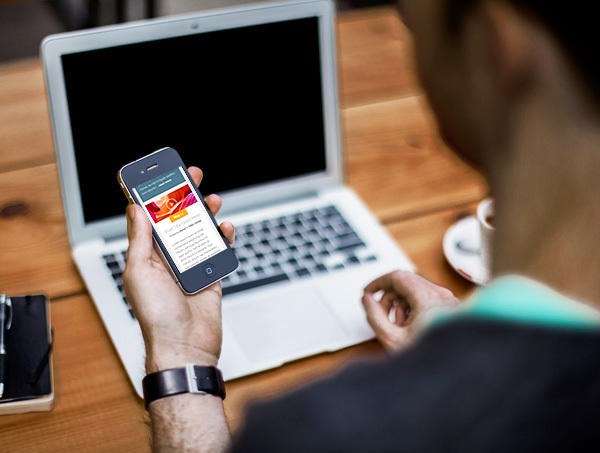 The use of mobile devices is on the rise, and it is important for your website to be ready for those mobile visitors. Serene comes fully responsive, meaning that the design will adapt to whatever screen size is being used to browse. You website will look great and will be a breeze to read on mobile phones and desktop computers alike. Serene supports 6 different post formats, including: Article, Video, Audio, Gallery, Quote and Link. Spice up your blog by creating truly engaging media-based posts that people can interact with. Serene does the work for you by supporting standard WordPress functionality – no need to bother with theme options or custom fields! I am so pleased with how this theme turned out, and I hope that everyone can put it to good use! We will also be releasing an exclusive version of the theme for just our members with more bells and whistles. If there are any features that you would like to see added, let us know! yaa Dipak, its simply awesome.great work by team Elegant. I agree with you 🙂 Amazing great looking wp theme.another great feature, it’s a responsive theme.i will try this theme asap! Looks good. Perfect starter theme to write fresh content. Please, please start adding a return to the top clickable icon for when you get to the bottom of the page. Thanks for the suggestion Lorna. You could always add one to a footer widget if you like. Something nice I’ve seen on scrolling sites is a floating div across the top or bottom of the browser with navigation, so it’s always visible. Highly usable, too! Search the WordPress Plug-Ins for similar options. Thanks for the suggestion Chrys. Maybe we can add a sidebar option to the pro version. Is there a pro version coming any time soon? Thirded! Would LOVE an optional sidebar here in the pro version! Looks great and definitely stands out from other blogging themes. Thanks. this is something new and surprising from Elewgant themes. Completely free + very attractive and awesome theme. I love the big text. There are no sidebars anyway on this theme though right? No there are no sidebars in this theme, just a widgetized footer area. Agree with a couple of other posters, sidebars would be nice in an extended Pro version. This is a beautiful theme! Love the clean look and design. I’m not sure, if I could ask for help or not since it free… but why featured image didn’t show in full? I already put big picture. Featured images are cropped to fit into the header. You can place an image inside the post if you don’t want it to be cropped. I think you should crop instead, just my idea. Thank you anyway, will be using the theme for sure. Also, consider using this plugin — http://wordpress.org/plugins/post-thumbnail-editor/ — which allows you to specify how a featured image is cropped. This theme looks great! Clean and elegant. Though I cannot work out how to include a citation on quote post type as shown on the image above…. Would there be a way to show off a portfolio, say using the GALLERY post format? Could I display other images inline underneath the gallery or single header image? Your recent themes focus on readability probably. Very big font but look awesome. Cheeer! Hi Nick please tell us will this theme be available on wordpress.com? Very Eleghant design Nick. Keep up the great work. Nice. Amazing that it is free! looks really nice! great job. I must say though…. we really need automatic updating or WordPress connecting with download platform. It does get pretty annoying that elements of WordPress plugins & themes update automatically apart from elegant themes products. It would be easy to have a key to register to updates … with the key getting changed every year or every quarter or when it suits u guys. But great job on your products & service. Top notch guys! This is a gorgeous blogging theme! I don’t currently have a use for it but it makes me want to start a blog. The audio player is especially great looking! Can I request, maybe a Business Theme? Not full width, but Fixed Box, and not catered for Blogs, but only Business’s.. Just a suggestion, thanks Nick..
As usual another great theme from your ET team. It would be nice, for the pro theme, to be able to limit the font size and/or the maximum width. It’s a bit bigger than I’d like in my browser on a moderately sized screen. Would love a soundcloud embed option! And if there’s not yet a vimeo embed option (? ), that would be great too. With these embeds I mean the option to listen / view a video directly on the homepage just like’s possible with the youtube embed right now. Now this is my kind of theme! Very well done! Way to go Nick! Love it… But I have a problem. When I try to make a quote entry appear nothing in the home (title or text). I chance the color of the back and the tex but nothing. Just appear when I click the entry, but in the home do not appear the text, just a white box. Have you added a block quote to the post as instructed in the documentation? For the pro theme…side widgets! And other ways to capture emails. Look for Derek Halpern 7 places. I love this theme! It’s clean look and content forward style is perfect for my needs. Is there a pro version coming? I am using one of your other themes for another site and I would the same options to be available with Serene. Thanks so much for Serene – it’s gorgeous! Gorgeous minimal blog theme! To the critics, I say choose a different theme if you want sidebars, constantly playing music, and other cluttering features. This theme is meant to be open, easy on the eyes, and aesthetically pleasing. Embrace the white space! Great job, Nick! Looking forward to the Pro version! Wow folks!!!! This theme looks fabulous!!! I also love that its free!!! Looks amazing.. will use it for my upcoming personal blog about my travel experience in india. +1 with GetResponse integration. Beautiful theme. Makes me excited to see the Pro version. Yes please! Great Ideas. I’d love to see this theme with the others! How to remove the submit a comment part? If I remove that comments.php page the footer also dissapears. I mean, how to remove that search button? Nice, but any ETA on Divi? It will still be a while before the theme is finished. We don’t have an ETA as it’s simply not possible to give an accurate estimation at this time. We are working hard to finish the theme as soon as possible, but this is the most complicated theme we have ever made and it will take much longer than usual to finish. Very nice I have to adopt one of them. I am currently trying to build my website for my business. I love the elegant themes and serene looks beautiful. I have one request to make though for business. Most of the designs use a large header panel for images or headings. This is great on the front page but can be too large for the main website. Having a smaller header section would be really helpful otherwise not much of the site content is “above the fold”. Seems like a nice, clean looking theme, very similar to twentytwelve theme but some nice colour customisations etc. Beautiful theme, but it has some bugs….I added a few suggestions for the Pro version, too. It would be nice if we could just insert the YouTube link in a box below the post like the “Link” post format because the way it is now it adds two videos to the post. One in the body and one in the header. 2 – I cannot turn comments OFF. I tried modifying the WordPress Discussion settings, but the comments still appear. 3 – I cannot upload a custom logo. 4 – I would like the standard Theme Customizer that is always under Appearance –> “Theme Name” where we can modify the Logo, Tagline, SEO options, etc. Now, with all of that being said I truly love this theme. I think it is very beautiful and if the things above are corrected and/or added I think it would possibly be the best theme you’ve created (IMO). Thank you both for your hard work. Brandon mate, this is an advert. That’s why it’s free. All the things that we actually need on a website will be available in the “Pro” version. Which is what we pay our memberships for. I think this is pretty obvious. As a member I felt as you do that some of my suggestions were probably a given, but you know what happens when you assume. Also, Nick asked for our suggestions and I felt it necessary to include them, especially since there are some issues I’m having with this theme that other members are having as well. As you can tell by the comments posted by Statusblue and isorock. We are just trying to be helpful to Nick and Kenny, as well as the rest of the members by reporting any issues we run into and by providing any suggestions we might have to help improve the theme. Hopefully that clarifies things for you. I had/have an issue where it seems to double-embed the video… Once at the top in the feature area and once in the body. Having your own logo is easy. Just change the code in header file. I have zero coding experience. Can you please tell me where I would paste that code inside the header file? I was searching for some inspiration for a new theme and it looks like a really nice theme. When do you think it will be released? It looks pretty much like what I’ve been looking for to use on a new project I’ve had in mind. I downloaded and installed it immediately for my blogblog.art-supplies.de & I realy like it! Great ideas. So far as the different post formats, is there any way to integrate a map/google map as part of the featured area? In other words, I want to have a post format that is location-based or emphasized: writing about food at a restaurant, a photo gallery while on travel, randomly saw something awesome or horrifying and the location might help provide additional awareness. Your Explorable theme doesn’t handle this idea quite in the way I had hoped in aggregate or as the blog, but this Serene’s format could work well if you could put a map up in that window. Would the alternative be the longer process of making a screen shot of a map, cropping, uploading, and so on? If so, I would be disappointed to lose out on features that a live map could offer, for example and option to Get Directions. I hope this makes sense and I look forward to your response. Thank you for all of the great themes! I noticed that, too. The workaround I found was to highlight the author’s name and select the “Heading 5” font style and change the font color to gray. That made it look just like the example. I am sure it is coming but a contact page template please. looks amazing.. will use it for my upcoming personal blog about my travel experience in turkey. Support for Soundcloud would be awesome! This is a lovely theme and I’ll definitely consider buying the pro version! However, a small bug seems to be that when I add a Link format post, the link that shows up is the link to my post, not to the article I’m linking to. You can see an example in the website I’ve linked here. I’m putting the URL in the body of the post, am I missing something? Thanks! This theme can be used as a landing page as well. Thank you. I love that about this theme! All I had to do was create a landing page without a page name so the title doesn’t appear at the top and I’m set. Is there any way to remove/hide the box with the date posted/# of comments that shows up? Also any way to remove the posted by ____ in ____? All things you can see on my home page! Thanks. I’m wanting to use a custom background image for the Serene theme, but I’m not sure which dimensions would work best. I’d like to have images appear to the left and right of the theme’s body section. Can one of you tell me what dimensions would work best? This theme looks pretty sweet IMHO!!!! Will the Pro version be the next theme release for the ET members? Any idea when? I am having trouble with the video posts, they seem to work more or less fine with Vimeo links (a playable link appears in the header of both the post page and the main page, plus the video is in the actual posts text body) but not at all with youtube links (i.e. in youtube links no playable file appears in the header on the post page itself or on the main page). anyone else has the same problem? Is there a solution? Will this arrive on wordpress.com, too? It’s possible, but we haven’t decided yet. Right now we are working on some other themes, and it usually takes 2-3 months to get a single theme through their review process even after it’s ready for them to review. Loving this new theme, I am having trouble using the ‘ET Shortcode’ Plugin with this theme (no options are added to the admin interface using this theme). Anyone else having this problem as the support forum does not list this free theme to ask the question there! Could you consider adding the option for an embedded map at the image position in the Pro version? That would be really nice! Love this theme in Firefox. Not working so well in IE. Suggestions? I love this theme.. thank you! Dang! Serene is a beautiful theme. Once I saw it, I knew where it belonged. On my personal blog at http://peimic.com. Thank you for the great theme. Also, congratulations on being the only 5/5 theme agency review score at http://wpmu.org/theme-seller-reviews-winners-and-losers/. Hi! Lovely theme Nick! But I have a problem, I want to put Vimeo button at the top of the page, where facebook and google plus and twiiter are. But I don’t know how.. Could you please help me? Thanks for all!!!! Hello! I have the same trouble as Lars says. Video posts is not working correctly. How to fix this bug? Perhaps a “sticky” post option? Allow me to have a static top post (an intro video) always a the top and then most recent posts below it? Mabey someone here knows how to place the sociam media on this Blog. Cant seem to find it and there is no theme option available..
About Video posts – there is no file “content-video.php in theme. I think that’s why video posts are not working. Do you plan to give an new version of Serene with fixed bags? Also about Then i using this function in post – on the main page there is no link to the next part of post. How can i fix this? I really love this theme and would like to use it, but the video function does not work. Numerous people have explained this, but I have yet to see an update that corrects the issue. Hopefully after they finish up with Divi they’ll be able to address the video issue in Serene. Thanks a LOOOOT for your beautiful (and FOC) work. I call it generosity! I hope you’ll have a bit of time to answer me. Love this theme. It’s so beautiful clean and elegant. As I feel it clutters up an otherwise perfect theme. Its a Great theme, I personally have it in Most Used themes rack. I am having troubles having a gallery on the front page. Has anyone here got the gallery format working? It wouldn’t even pull a featured image, let along the slider option isn’t working… I followed the instructions. Thanks for building the theme. Please support if available. ok as everybody mentioned before, beautiful theme and amazing that it is for free. Thank you for that, would pay though and do think sidebar widgets destroy the beautiful simplicity! i just can’t make the pictures appear full width of the post. do you guys have a theme for a hotel/holiday home? How can decrease 3 aria in footer to 1 area, but more wide. I’m wondering the same thing… Will anyone reply? Hey guys, sorry you haven’t had your question answered yet. The best place to get support is via our support forum. You can view existing problem/solutions by theme and create a new ticket if no solution exists for your problem. How can I change the category order in post. the page navigator in your demo and your theme is not the same??? The main home page shows my first blog post, but it doesn’t show the picture I’ve added to the blog post. The picture only shows up once you click “Read more” under the blog post. How can I make my blog pictures show up on the home page under each blog post? I’m trying to add a Menu for the first time (I’ve created a few test pages to see what it looks like) – but I noticed that from the main page which shows my blog post “Bismillah”, I’m unable to click the Menu’s. Yet when I’m on the page “Thoughts and Reflections” , I’m able to click on all the Menu items. Incredibly beautiful design. I loved it the moment I saw it! However, is there a way to remove a header from pages? It is added automatically, and sometimes I’d rather if it wasn’t there. Thanks! Beautiful theme… I love it! Quick question though… how do I get the access to other social media icons to be displayed in the header… I see that they have been formatted in the css but I can’t figure out a way to access them. I only have FB, TWITTER and GOOGLE +. Cute, but when I use it there is NO mechanism to change ANY settings. There is no “e-panel” or any other way to change/customize the theme. Is this just because it’s a “freebie”? because this theme is otherwise USELESS. I would love to see this as a premium theme with full feature set of customizable options. Again, this is a cute bobbie, but beyond exceedingly limited without a way to edit it. I think this would be a custom field (‘photographer’) that is listed alongside the author, and linked to a profile page. How do I do that?? Is there an available plugin? Thanks for any help. Does the theme support transaltion? Great theme. Simple, elegant, and serves my purpose. I know that this theme was not meant to be an agency or portfolio theme, but if you could add a few features of adding a custom logo image, portfolio display, full responsive images, and parallax. It would be just great. Also if there was an option of removing the search button, without editing the stylesheet myself, it would be great. Like a small option somewhere. However, GREAT work on the design. The font and weight itself creates the design elements. Serene is a really beautiful theme, I just installed it for my personal blog. It is really simple to use, but I have a questions regarding the gallery and images in general: how can I scale the images so that they don´t loose details when they are uploaded into a post? Especially with vertically shot images, I can see only a small part of it, so I cannot show the whole image. It would be great if you could give some suggestions. Many thanks and congrats to this really great theme! Great theme, I compleatelly agree! May I ask, what the current state is, regarding the pro version? Very neat design! Looks great! Perhaps we’ll change our design with this one…. – Good work! Looking to use this one… Will it be updated for any new google/mobile friendly and responsive updates? I don’t think it needs it. It’s already responsive. Wow this is nice thame for website. To be wonderfull to have this them for work if we use website so too Amazing great looking wp theme.another great feature, it’s a responsive theme. when I post an article link of my blog to facebook I get the wrong picture. It shows the picture of the article I made before. Awesome! Definitely my favorite look for what I’m hoping for on my site. Its a very beautifully designed theme, although I’m on Lifetime Membership still this theme being free made me very happy. Many bloggers, students who don’t need fancy features can have such a beautiful theme for free now. Making internet more beautiful in general. Thanks. 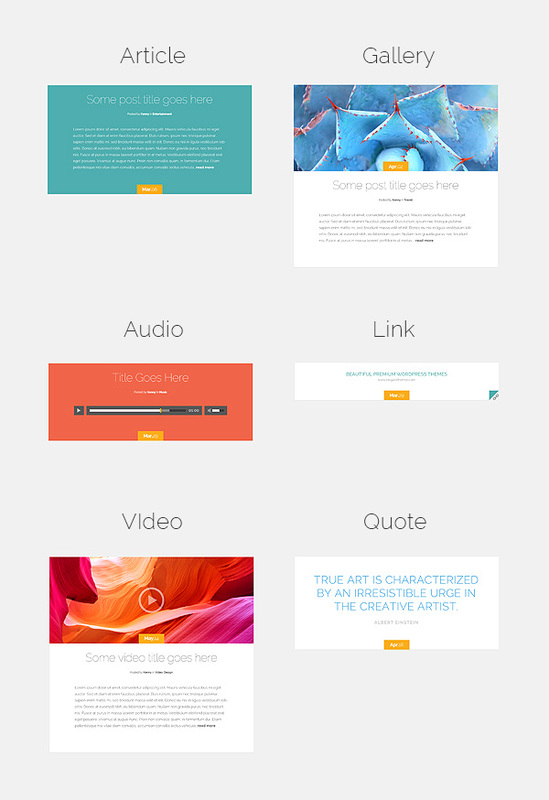 I am using this theme for my website – thank you so much for making it freely available! Wondering if there is a list anywhere of other websites using the theme? I am doing my best to make my site pretty and engaging, but as a blogging newbie, I would love to have a browse and see what really clever people can do with it. Sorry you’re having this issue. The best place for us to help you with it is actually in the forums. If you could create a ticket under that theme that would be great. This theme is perfect for what I want, nice and simple with enough options and design to make it look interesting, but without the hassles of having to create a faux home page and spending all the uneccesary time doing it. Good job, thank you. Hi, I have just installed the theme thank you. Could you please tell me what the ideal size for the images is please? Mine are currently only filling half the screen. Also I can’t see the option to add the pages along the top next to the site heading. How do I do this?